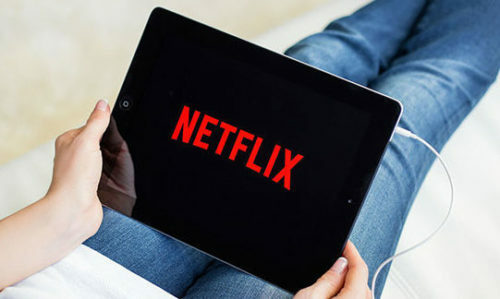 Netflix has nearly doubled its marketing spend from last year, spending around US$1 billion in the six months ending 30 June 2018, up from around US$546 million in the same period last year. When asked about their investment into marketing, Netflix CEO Wilmot Reed Hastings said that company was pleased with the growth so far and its ability to invest. Currently, a focus is being placed on title brands and how it can maximise their potential. As such, the company is leveraging on acquisition marketing and learning. David B. Wells, Netflix CFO explained that a fraction of the marketing spend is oriented around direct acquisition, however, a majority of spend (around 80 – 85%) is oriented around building title brands. “We’ve got good evidence that we can do that. We’re just parsing through what the most efficient mechanism is to market those titles and also where the right amount of spend is as well as we grow our content library,” Wells added. Netflix’s other strides into direct acquisitions surrounding marketing also include its recently tipped US$300 million bid for Regency Outdoor Advertising, a billboards company in Los Angeles, whose coverage includes Sunset Strip on West Hollywood. However, Reuters sources said that Netflix decided to buy only half of Regency’s assets for US$150 million. This is to focus on the Sunset Strip in a deal expected to close in July, while looking at buying other Regency billboards in Hollywood. The move is unsurprising given the streaming giant’s big investments into bolstering its content offering, especially into localised and non-English content. In India alone, on top of Sacred Games, the content provider recently launched Lust Stories, short films told by the point of view of Indian women. Closer to home, it partnered up with traditional broadcast company Mediacorp in 2016 to take Singapore content global. The move culminates in a streaming service that will bring locally produced TV series to its members around the world from early 2017, bringing over 20 popular Chinese TV series made in Singapore. This includes classics such as The Little Nyonya and The Golden Path, and more recent dramas such as The Dream Joband The Truth Seekers to Netflix. Meanwhile in Malaysia, it launched its first local original comedy production from Southeast Asia with prominent Malaysian comedian, Harith Iskander. Globally, the company is spending approximately US$7 billion and US$8 billion on content in 2018, following a revenue growth of US$2,985 million for the third quarter of 2017. Prior to the move, Netflix was set to spend up to US$750 million on content and global expansion. Getting aggressive in its content deals, the company brought on board the Obamas and Ryan Murphy to commission new content series. To ensure a laser-focus on bolstering its content, Hastings even declared that the company will not be following the steps of competitors, and head into the live sports streaming scene. Instead, the company is looking to focus on creating content such as movies and TV shows. FindIt Malaysia has launched a mobile platform that helps consumers find business and services nearest to them, with help coming f.. The four-year contract will allow Dentsu Sports Asia to exclusively market and acquire sponsors for Malaysia’s National Olympic Co..